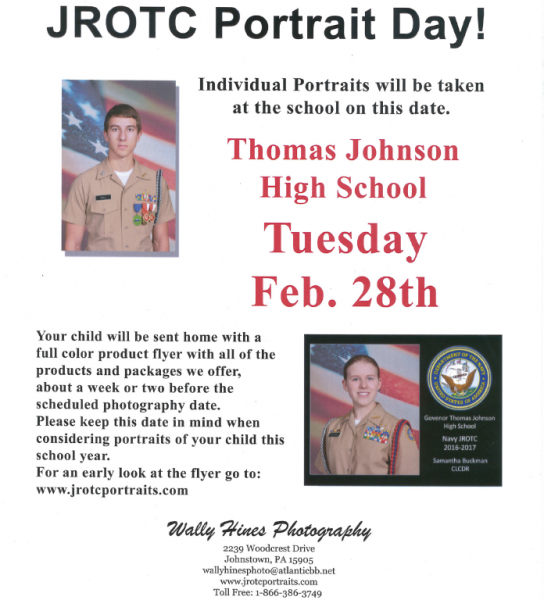 All Spring semester cadets will have their official cadet portrait taken in class on Tuesday, February 28th. This free portrait will be used in our annual yearbook and composite. If you are interested in ordering personal copies, various packages are available through www.jrotcportraits.com.